I thought I’d take the temperature of the group and see if anyone who was Team Edward or Team Jacob has suddenly switched over to team Beau. I just started Life and Death (the gender-swapped version of Twilight) this morning, so I don’t have any clear ideas yet. I know one or two of you were thinking about reading it too. Let me know in the comments who you’d marry, who you’d date, and who you’d dump. Marry: Edward Cullen (maybe this will change by the end of the new book, but for now I’m still solidly team Edward). 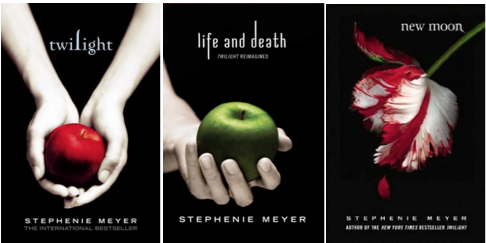 This entry was posted in Marry Date or Dump and tagged Life and Death, Stephanie Meyers, Twilight by Alison Doherty. Bookmark the permalink.